As the weather cools down and your yard’s trees lose their leaves, it’s important to hire a tree service and prepare your yard for winter. By preparing for the snow and cold now, you can ensure that your trees and shrubs bounce back in the spring. This guide will provide some basic steps you can take to care for your shrubs and trees this season. 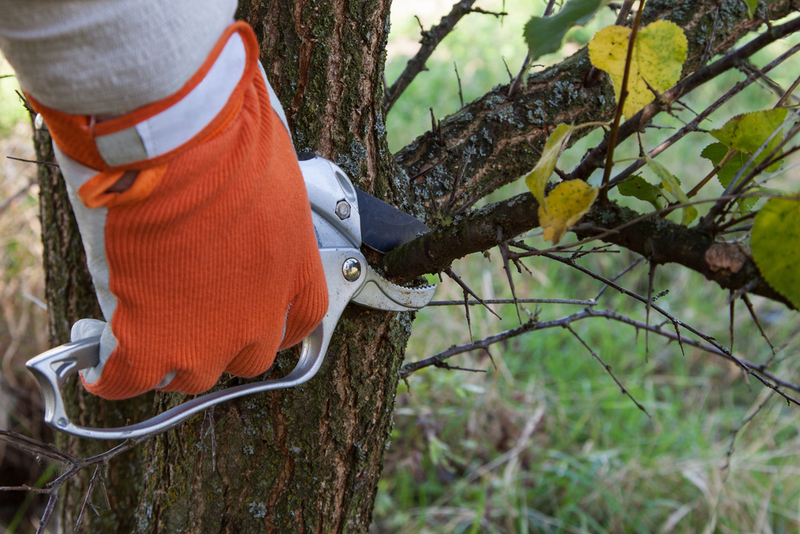 Inspect your trees and shrubs for dead or diseased branches and hire tree services for pruning. By removing these branches now, the tree care company will prepare the plants to sprout properly in the spring. This process also keeps the height of the trees and shrubs in check in anticipation for healthy growth. Most trees drop their leaves in the fall, causing a colorful covering on your lawn. While you might think that these fallen leaves aren’t an issue, leaving them there can cause mold growth and excess moisture in your grass. By keeping your lawn and the bases of your trees free of debris, you can ensure that the rotten leaves don’t spread disease and fungus after the snow thaws. Even though the temperature is dropping, you should still ensure that your trees and shrubs are getting plenty of water. A professional tree care company can give you advice on fertilizer, as choosing the right feeding method can keep your trees thriving all year long. Call a tree services company to inspect your trees and shrubs for signs of disease. If they do spot a diseased tree, they may recommend removing it before winter comes. In some cases, basic pruning can also do the trick. Remember that it’s always best to remove trees and stumps before or after winter while the ground is soft, so don’t hesitate to schedule this inspection. To keep your yard healthy this fall, call the team at Columbia Tree & Lawn Service in Maryland. With locations all around Howard County, they are the leading area experts in tree removal and lawn care. By trusting them with tree services, you can keep your lawn thriving no matter the weather. For more information on their offerings, visit their website or call (410) 740-5444.